We tend to infer our attitudes on the basis of our behaviors, rather than behaving on the basis of pre-existing attitudes. This is likely a mechanism underlying the effectiveness of the foot-in-the-door technique. The tendency to attribute successes to our internal factors (personality, talent etc.) and failures to external factors. For example: if you were rejected for a job you may blame it on something external (the interviewer was in a bad mood) and if you received the job you would may think it was because the interviewer thought you were hardworking. After an initial moral or prosocial behavior, we sometimes feel “licensed” to behave immorally or anti-socially. For example: you bring a reusable bag to the grocery store to help the environment and because of that pro-social action you feel “licensed” to buy yourself a treat from the candy aisle. Maintaining positive self-beliefs despite evidence to the contrary. Often a subconscious process, and people tend to fail to predict the long-term costs associated with engaging in it. We tend to believe that others think just like us, even when there is no justification for this belief. This can often contribute to a false consensus effect and an unjustified confidence in our predictions of group outcomes. We tend to believe ourselves to be less at risk of experiencing a negative event than other people are. For example, a majority of people believe they are less at risk of contracting cancer, experiencing a car accident, and losing money in the stock market than objective probability suggests. Candy Crushed!! We tend to assign ourselves a higher degree of control over outcomes of events than we actually have. For example, we may behave as if we have control over events that are entirely dependent on chance, like when we select our ‘winning’ lottery number. The illusion is strengthened under competitive situations such as financial trading, despite being detrimental to performance. 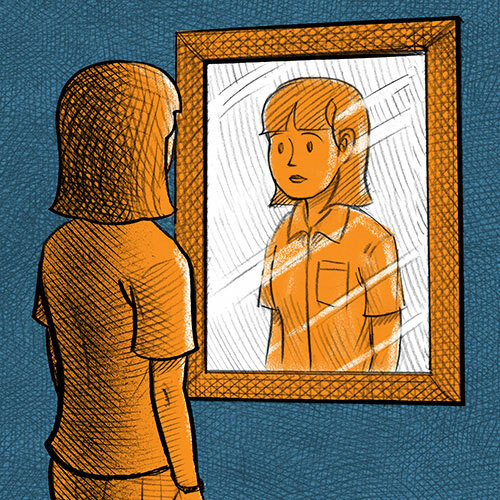 We tend to perceive our knowledge of others as surpassing others’ knowledge of ourselves. Body and mind! Cognitive states and emotions are influenced by one’s physical state or actions. For example, smiling, even when we don’t feel like it, can lead to significant improvements in mood. Some specific examples include facial feedback, in which emotions are inferred based on facial expression, and experiencing closure after physically closing a menu. The discomfort emerging from holding conflicting beliefs, attitudes, or behaviors. The intensity of this discomfort increases with the importance of the subject to us, the strength of the conflict, and our inability to explain away any conflicting thoughts. There is often a strong motivation to reduce the dissonance by altering one of the beliefs, adding new beliefs, or changing one’s interpretation of the relevant evidence. Bias blind spot is the tendency to see the existence of cognitive biases in other people much more than in ourselves. For example: you notice your friend is only looking for information that supports her beliefs (confirmation bias) but you do not notice your own use of the confirmation bias or other biases. Written in the stars! The Barnum (or Forer) Effect is seen when a person gives high accuracy ratings to descriptions of their personality apparently tailored to them but that are in fact highly vague and general.